krismulkey.com: BevMo Spring 5c Wine Sale is ON! 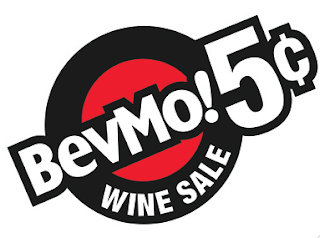 BevMo Spring 5c Wine Sale is ON! YAY! This is my kind of wine sale. Seriously, who doesn't like a bottle of 90+ wine for a nickle? Here are some picks from my friends at BevMo! California and Arizona have slightly different wines in the sale so I have two lists so everyone will be happy. Well almost everyone. BevMo! can't ship to NY and various other states so they're not happy. Neither are people in Japan. Can't ship to them either - darn shipping laws. CA and AZ peeps? You are golden. The best thing to do is fill up two cases. Because for every bottle you buy, you get the second bottle for 5¢. So that means the second case is just 60¢! Ka-ching! And then invite me over so we can drink wine together.